With its mild weather, rich history, delicious food, and friendly people, Spain is one of Europe’s most amazing holiday destinations. But with so many great cities and beautiful islands, choosing one Spanish vacation spot is quite difficult. Some say Barcelona is the best place in Spain, others vote for Madrid, while many choose the Balearic or Canary Islands without thinking twice. However, the truth is that there is something special everywhere in Spain, and the following list will give you a short glimpse of what this stunning country has to offer. If you’ve never been to Barcelona, it’s time to add the Catalonian pearl to your bucket list. The city is heaven for history lovers, art and architecture aficionados, foodies, as well as party animals and romantic travellers who dream about long beach walks. Yes, the city has everything your heart desires. 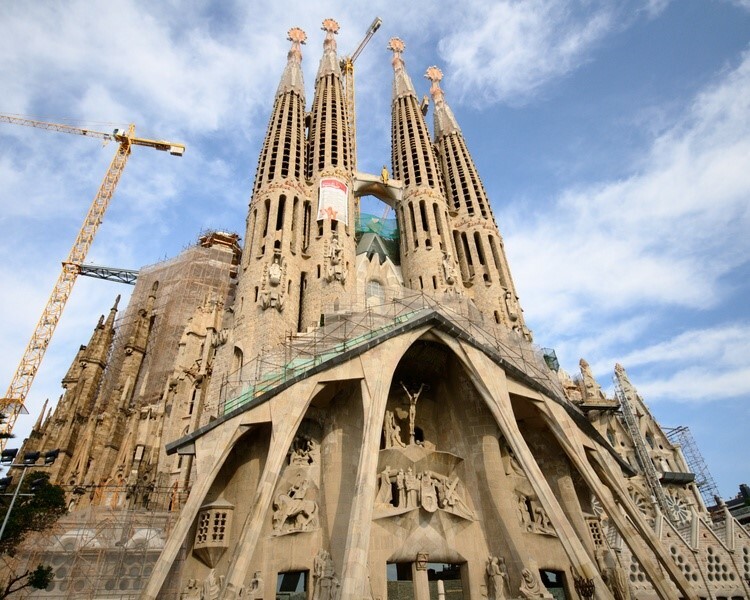 But probably its most treasured gem is Gaudi’s masterpiece, Sagrada Familia. The imposing cathedral watches over the city and its inhabitants with greatness while giving curious visitors the chance to get closer to Gaudi’s fascinating mind and talent. Combining gothic and curvilinear art nouveau forms, the large Roman Catholic basilica is part of a UNESCO World Heritage Site. It is definitely a site you can’t afford to miss while visiting Spain, but it is not the only masterpiece of Gaudi in Barcelona. So, while exploring the city, make sure you see his other works of art. Wander around Park Guell, admire Casa Mila, and let Casa Batllo amaze your eyes. And when you feel tired, stop at a local restaurant to enjoy some tapas and a tasty glass of cava. The Canary Islands is a paradisiacal destination for everybody who wants to run away from winter but can’t afford to leave Europe. But there is more to these beautiful islands than the tropical weather, charming beaches, great parties, and simple, but mouthwatering food. If you want to climb Spain’s highest mountain and have the ultimate active volcano experience, start planning a memorable trip to Tenerife. Not only is Teide the highest point in Spain, but it is also the highest point above sea level in the islands of the Atlantic. Expect to see incredible landscapes and have a memorable experience while wandering around the remains of the volcano’s eruptions. But your vacation will only be complete if you add a tour of the island to your list, as well as indulge in the local wine and food, relax on the black sand beaches, and adventure into the amazing watersports available. Is art one of your biggest passions? In this case, you can’t afford to miss seeing the Dali Theatre and Museum in Figueres. Located quite close to Barcelona, this small but charming village was the artist’s hometown and now hosts one of the most interesting museums in Europe and the place where the surrealist is buried. The centre of the museum is the old theatre of Figueres, a place that was burned and reconstructed for this purpose. Now it has new buildings and courtyards adjacent to the old museum. Expect to see pieces of art from Dali’s personal collections. The many paintings, sculptures, and interesting devices and collages will definitely blow your mind. If you want to travel back in time and explore one of the best preserved Roman ruins, you have to visit Merida. The beautiful city is home to the longest Roman bridge ever built. Merida’s Puente Romano is now used only by pedestrians, and it offers an incredible walk to both locals and visitors. Its impressive Roman Theatre was built in 16 BC with the purpose to accommodate 6000 people. 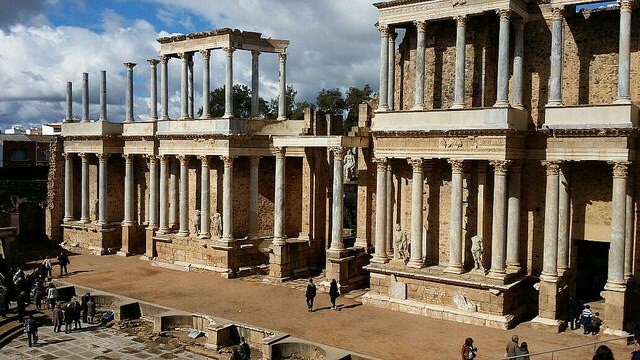 And these are just two examples of the amazing historical sites hosted by Merida since the city has more Roman monuments than any other place in Spain. Just put on your comfy shoes and start exploring, because all the sites are close to one another so you will need nothing but your excitement and your happy feet to see them. Part of the Santiago de Compostela World Heritage Site, the cathedral is one of the most beautiful sites in Spain, and it is famous all over the world for being the burial place of Saint James the Great and for marking the end of the Camino de Santiago. All pilgrimage routes lead to this imposing cathedral, but if the Camino is not on your bucket list, you can still visit Santiago de Compostela and admire the cathedral, with its Romanesque exterior perfectly combined with baroque façades, and gothic interior with 18th-century influences. Adding the Camino de Santiago to your bucket list is strongly advisable, but even if the pilgrimage is not your cup of tea, the Santiago de Compostela Cathedral is a Spanish attraction you can’t afford to miss. Rebecca is a translator by day, and a traveler mostly at night. She is an expert on living with jet lag – and packing in tiny suitcases. You can read more of her exploits at RoughDraft.